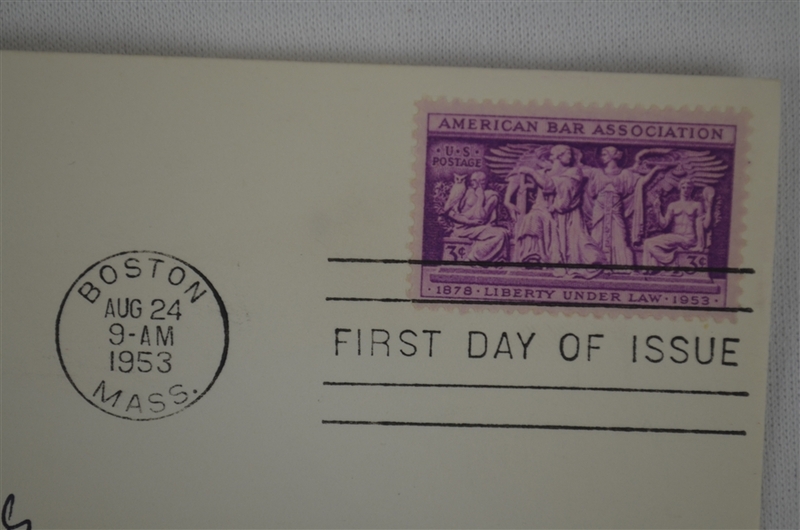 This First Day Cover dated August 24th, 1953 has been signed by John F. Kennedy in bold, black fountain pen. 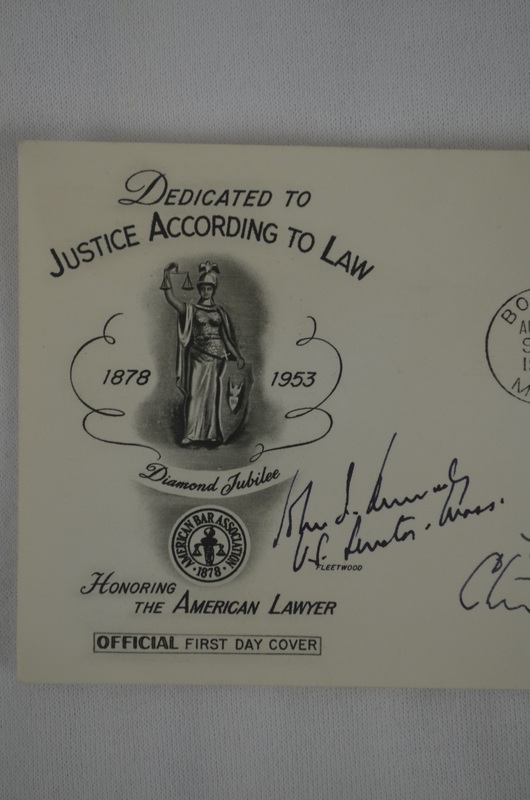 JFK has signed and inscribed this treasure "John F. Kennedy, U.S. 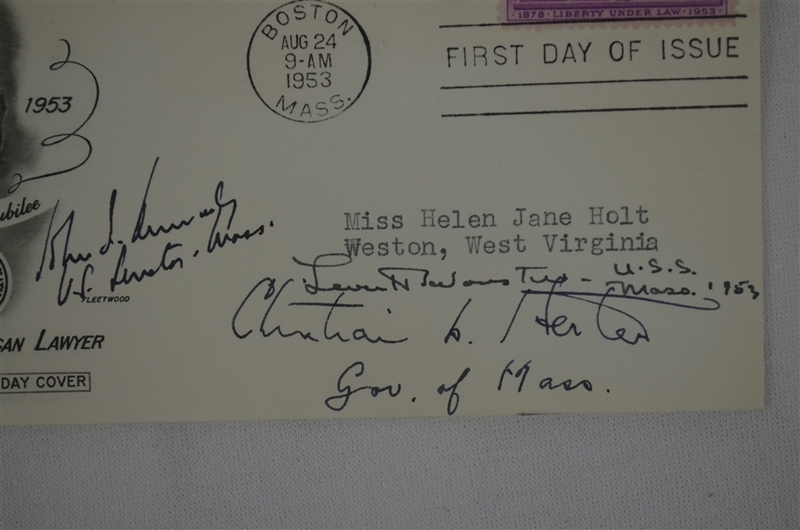 Senator Mass.". Very early JFK signature as he was still a Massachusetts Senator at the time. 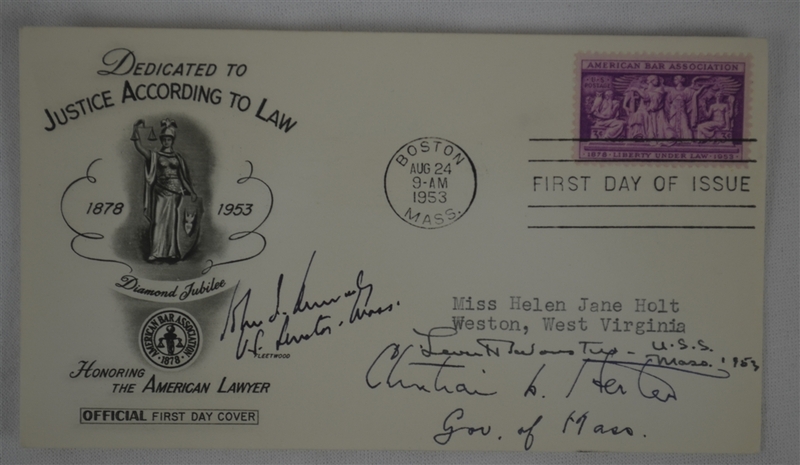 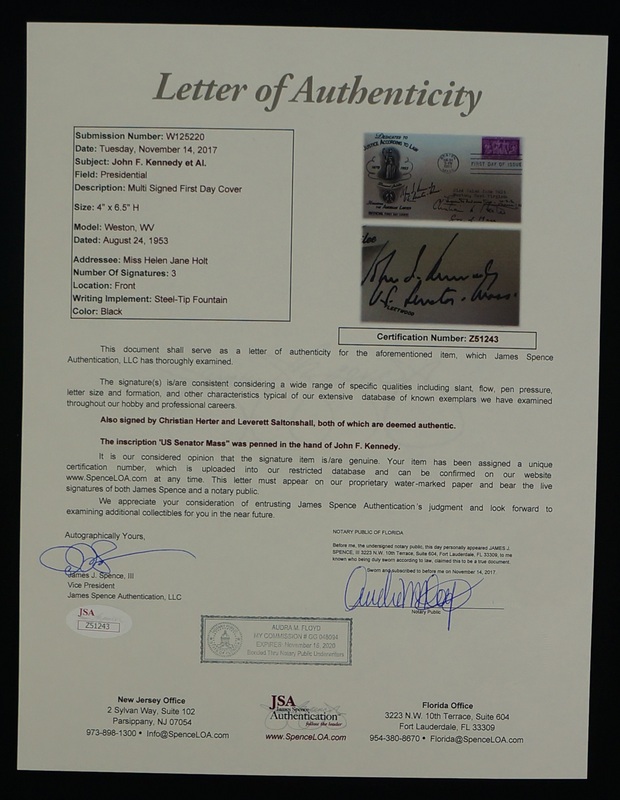 This FDC is also signed by the Governor of Massachusetts Christian Herter and United States Senator Leverett Saltonstall. Truly a unique piece of American Political history.